Of the various major concerns about the Obama administration I alluded to last December, there are two clearly in the foreground at the moment. First is the administration's assumed right to wage war anywhere in the world, bypassing Article I, Section 8 of the Constitution, known as the War Powers Clause. The second is the repression of free speech, which takes us to the First Amendment of the Constitution. And both of these have many ramifications. The use of drones, it's been pointed out, appears to replace the odious "extraordinary rendition" of the Clinton era, greatly stepped up by Bush II after the September 11 attacks, which involved sending suspects to be tortured and interrogated and permanently incarcerated outside US borders. 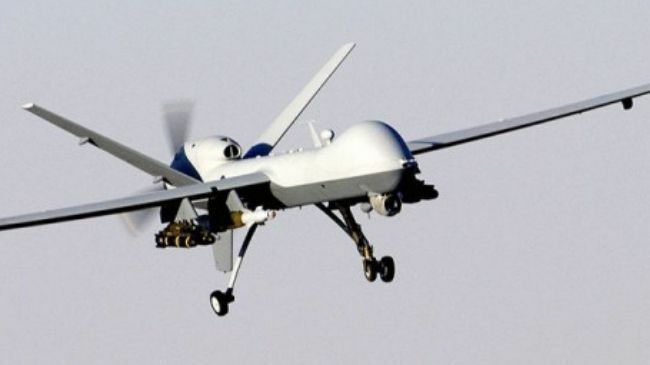 No need for "extraordinary rendition" with Obama's personal "Kill List," by which he simply sends drones out to kill supposed enemies wherever they are, without apprehension or questioning. The other element is the redefining of the field of battle, by which the Pentagon looks on Obama as qualified to launch an attack, preemptive or otherwise, anywhere on the globe. This is where the War Powers Clause is most dramatically violated. At a hearing of the Armed Services Committee, it appeared that the Pentagon, revisiting the Authorization for Use of Military Force, or AUMF, enacted by Congress days after the attacks on Sept. 11, 2001, now define this act as giving the President the power to wage endless war anywhere in the world, including in Syria, Yemen and the Congo. At the meeting, new Maine Senator Angus King declared this reinterpretation of things "astoundingly disturbing." In his recent New Yorker piece, "Remote Control: Our Drone Illusion," Steve Coll considers the new US conception of warfare, examining two newly published books of investigative journalism, The Way of the Knife (Penguin), by Mark Mazzetti, a New York Times reporter; and Dirty Wars (Nation), by Jeremy Scahill, of The Nation. These books both describe a "war without battlefields," without specific ones, anyway. Notably, as in the case of Anwar Awlaki, the government has assassinated US citizens. It's important to note that the Obama administration is expanding the policies of the previous administration, not diminishing them, in terms of concept and policy and how they are carried out. "Astoundingly disturbing"? You could say that. The attack on speech has two main sides too, victims being divided among those who give out information, the "sources," and those who report what they say, the "reporters," in traditional terminology. Just as Nixon sought to attack both Daniel Ellsberg and the New York Times, Obama is after both Bradley Manning, an easy mark and already long incarcerated without trial, and Julian Assange, of Wikileaks, whom the powers that be would like to remove from his refuge in the Ecuadorean Embassy in London, send to Sweden, and extradite to America for imprisonment and, perhaps, trial. The government's attack on whistle blowers has been exceptional in its determination and severity. 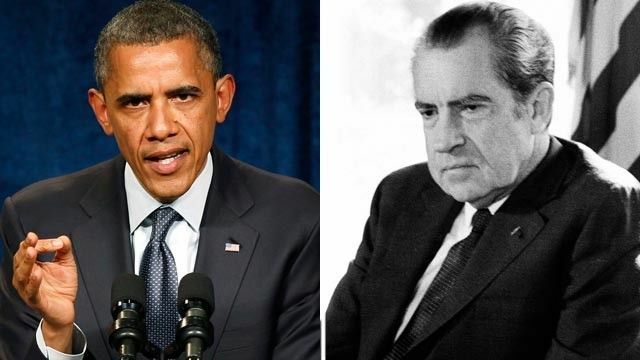 But there is now something new, a scandal that actually links Obama with Nixon in the minds of many. This is the news that the Justice Department has invaded the email and phone communications of one hundred newsmen of the Associated Press for months, without a credible cause or any result. The excuse for this given by a stonewalling Attorney General Eric Holder was trying to find who had revealed the instance of a Yemeni would-be bomber that he claimed was of tremendous danger to the citizenry. The Obama administration turns out to be, among US governments, an excessively repressive and invasive one. According to a New York Times editorial, "Spying on the Associated Press," this administration has indicted six current and former officials under the Espionage Act, which had previously been used only three times since it was enacted in 1917. Daniel Ellsberg was one of those earlier three. There is some irony in the fact that Europeans still seem to complain that compared to Bush II, whom they resented, Obama is "weak," when his second turn seems more and more decisive, despite the impossibility of his controlling the Republicans in Congress. Now Bush II comparisons vie with Nixon ones. Recently the lawyer for the New York Times in the Ellsberg case, James Goodale, interviewed on Democracy Now! concerning his new book about it, points out that the Pentagon Papers case is about censorship, and he debunks the claim that the information Ellsberg revealed or the Wikileaks information or, by assumption, the case used to justify invading the privacy of 100 AP reporters, was in any of these cases critical or important. Goodale calls the Pentagon Papers case "hot air" and the new one "malarkey." But he says that Obama has drawn even with Nixon now, and depending on how he pursues current cases he may pull ahead of him as a more repressive President. The issue is one of control. By declaring more and more documents "Secret" or "Top Secret" or whatever, the government asserts the right to hide its actions and its decisions, and this is the hallmark of totalitarian regimes. There is no discussion; there is no openness. This then gives rise to the question of whether we live in a democracy. But of course we have this information, and it is being discussed in the press. Obama's tone is often troubling. It would be nice if he didn't use "I" so much in talking about the policies of his administration. 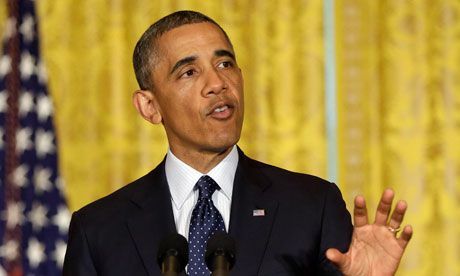 When a new issue came up, of the Internal Revenue Service's allegedly vetting requests for non-profit status selectively focusing on ones with the words "Tea Party" or "Patriot" in their names, Obama replied: "I’ve reviewed the Treasury Department watchdog’s report, and the misconduct that it uncovered is inexcusable. It’s inexcusable, and Americans are right to be angry about it, and I am angry about it. I will not tolerate this kind of behavior in any agency, but especially in the IRS, given the power that it has and the reach that it has in all of our lives." It would be nice if he used "we" more often, or "this administration." He sounds like a schoolteacher giving a tongue-lashing to naughty students. Another aspect of things is one described by David Cay Johnson in the case of government spying on AP reporters -- a marked secretiveness toward the press. The administration boast of seeking a revival of the "media shield" law, as others, including Assange, have pointed out, is meaningless, because it has no force in cases of claimed "national security" (such as this one). Furthermore, Johnson, who is President of Investigative Reporters and Editors and a Pulitzer Prizewinning journalist who has dealt with administrations going back a while, has this to say about the current one: "I and many other journalists have observed that this administration, despite its public rhetoric, has repeatedly and continually been very difficult to deal with. I rate them worse than the Bush administration. And every single story that I wrote at the New York Times, with one exception, had Bush people on the record by name, rank and serial number. So, this is a very troubling aspect of this administration. It is hostile to the news media. It seems to have an attitude that if they don’t like the question, they don’t have to answer it. And it makes it very difficult and cumbersome to get responses from there. They’re behaving much more like a corporation than like the people’s government." The effect of a big story like this AP spying case is that people are afraid to talk to the press now, Johnson pointed out. So this is not only an administration and a government that now wages war arbitrarily wherever and whenever it chooses using modern instant assassination techniques. It is also an extraordinarily repressive and secretive group, whose behavior lacks openness when compared to Bush II and his "neocons." It is hard to say where this will all lead, but it doesn't look good.